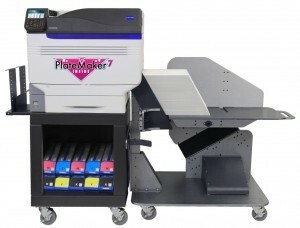 Now you can afford to go digital and start meeting the demand for fast full color flyers, brochures, envelopes, mailers and cards, plus offer your customers additional print services like product packag-ing, POP displays, table tents, door hangers, menus, oversized banners (up to 13” x 52”) and now, quality polyester plates. This digital heavy stock printer is driven by the iQueue Ultimate RIP-Workflow that’s designed specifically for digital print systems. iQueue makes it easy to manage multiple digital files, make critical color adjustments, apply imposition, import variable data, estimate job cost and more. 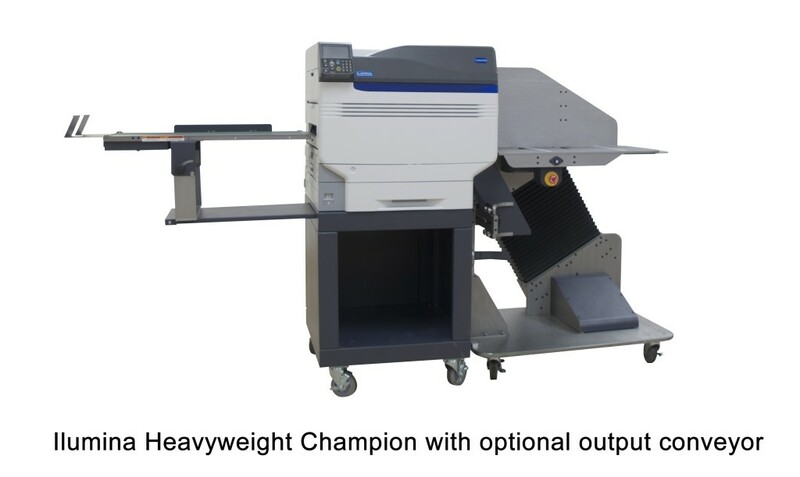 The ILUMINA Heavyweight Champion Digital Press utilizes high definition LED printheads for superior images and stronger colors. Unlike traditional laser technology, there are no moving parts within the LED mechanism for greater reliability. This Xante digital variable data printer system is driven by the iQueue Ultimate RIP-Workflow that allows prepress operators to take control of their customers’ digital files and automate complex prepress tasks easily with this thick stock printer. Users can make critical color adjustments, apply imposition, import variable data, estimate job costs, track press consumables and much more. – Multilevel LED printheads control the amount of toner applied to each dot, preserving fine image detail and maximizing color fidelity. – HD Microfine toner engineered to ensure printed documents are sharp and crisp, with a high-quality finish. 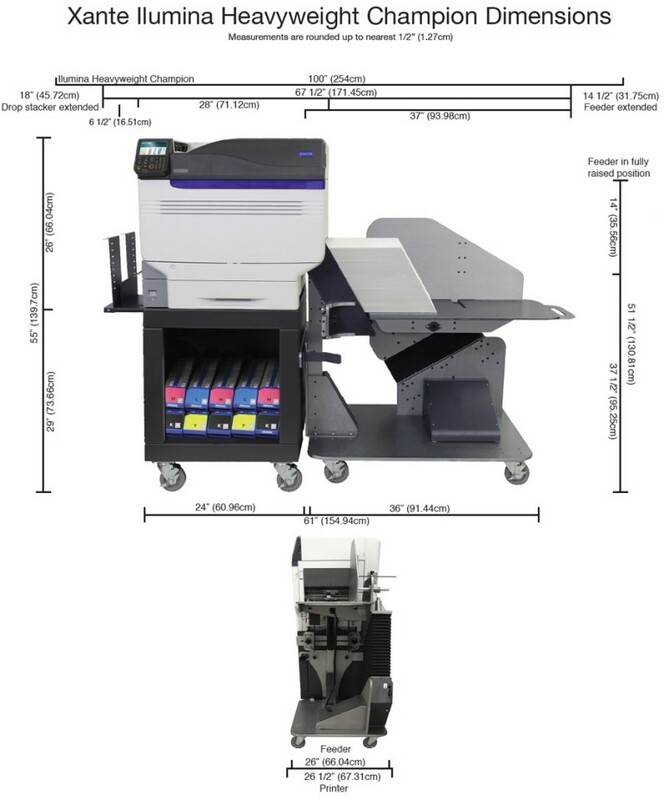 – Single Pass ColorTM technology enhanced to improve color registra- tion, regardless of paper type and weight, and provides better toner transfer across a wider range of media types. Watch the Ilumina HWC print on a range stocks including envelopes and chip board! This video shows you how you can produce Myriad Polyester Plates with the included PlateMaker 7 built-in to the Ilumina HWC.